What is that one ingredient which makes your a survivor in your career, your office? You’d say talent, knowledge, skills, attitude, education yada yada yada! I would take a little different take and say “How to avoid / How to tackle office politics”. If you’ve inhibited this skill, you’ll survive. 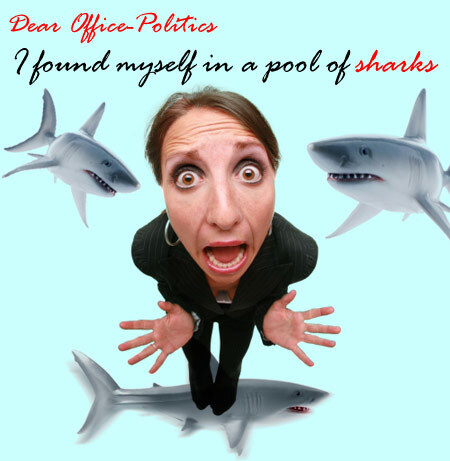 Now what does office politics mean? How is it different from Kitchen politics? For a very technical definition you must read this: Work Place Politics. OP can be found very commonly at workplaces. Although, the percentage varies from office to office i.e. the culture in the organizations. Some say it is healthy to have some level of OP at workplaces, it keeps the environment healthy and competitive. But who draws the line where is the is it healthy and where it becomes harmful? I’ve a different view towards OP. I’m not sure why one has to indulge in this activity? Because I feel while indulging in this activity, one may not realize that he/she is crossing the line, erasing the lines of communication and misguiding the team members / other employees towards a different goal. And all this to achieve one’s own success or to turn around things for one own self? How fair is that? There are times when because of such culture, good resources are forced to leave the organizations because they think they cannot fit in and sustain the OP. Lot of times the culture gets contaminated due to some strong leaders of OP. Sometimes OP becomes inevitable in offices: there are fights for positions, resources, self dignity and also personal vendetta. OP can emerge from any stem and lead to any string. If you Google this word, OP, you’ll find stuff like ‘how to survive OP’; ‘how to handle OP’ etc. There are how-to tutorials available, from this you can imagine how severe things can get at work places with OP. Some people are very much experienced in handling OP and they can carve their way out of this muddle. Also, such people also know how to use OP positively to climb the ladder and stay ahead of all. In the organizations that I’ve worked so far, I’ve experienced that if you’re not handy with the how-to stuff, it can get onto your nerves! One has to be mentally conditioned to face OP and also to avoid getting involved in it to the level where it starts affecting. I think the idea is to know it all and still stay away from it all ! It not only sounds tough but it is tough to balance it out. What has been your experience of OP? Do you know the how-to of OP? Have you faced any situation where in you found yourself stuck in a difficult situation? Do Share!